Here's The Art, Science… And Fun! Using these tips I have kept for years of buying house as well as working as an agent will increase your odds of success and oh, yes, make it much more fun! Here is a wining process that will help you to organized. The search for your, soon to be, home is in full swing! A good real estate agent will bring you a great level of information, including fliers and comps [comparable properties]. However, if you have a little digital camera do bring it along to snap some pictures to supplement any ready made info you may be given along the way. A video camera also supplies support material that you would appreciate reviewing it in a quite time. Camcorders have playback capability, however the full effect is realized when hooked up to a computer or TV set. 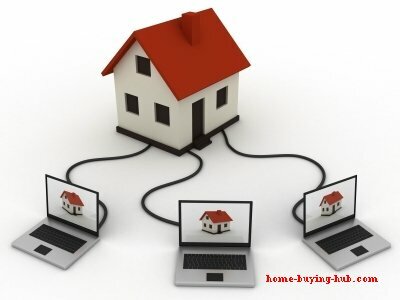 It makes your home buying search fun and you are able to share with your family. I once worked with a family whose wife had to stay back in Pennsylvania to watch the kids, while the husband and his Mom were home hunting in Atlanta. In any case, it was a joy to see the communication flowing back and forth via the airwaves through multiple states. That home buying search was a lot more fun! At the end, when we found “the” one, they had an incredible archive of pictures of home that were available at that point in time! In addition, they could discuss amongst themselves the advantage of one house against the other. The beauty of a cell phone camera is that you can attach comments to the images. I would highly recommend that, from the get go, you create a three fold system: "Like," "Dislike" and "Possibility." Most houses will have a flier with pictures – I always like to write my notes on those. Many times you will change your mind about a home based on those notes. In any case is good to keep them all separately as I said above your time is valuable and you do not scratch your had about details or price at the end of long day of home searching. TIP: Whenever possible keep the MLS# with your notes: It is the easiest way for your REALTOR® further info about that home. After that comes the subdivision name: You will be amazed to how much information a real estate professional can find for you! And your REALTOR® will be able to check the comps and tell you if the house you have your eyes on is worth the price or not. Here is where your home buying search gets “almost scientific” and justify the price or tell “walk way” price point. Again it pays to keep organized from the start – I do hope that it will not be long before you find the house that you will home, however it can a lengthy period and keeping notes and being organized with them will certainly reduce stress and improve your success margin.